After investigating the alleged sexual assault of an incapacitated woman who gave birth in December despite having been in a vegetative state since she was a child, police have arrested a nurse at the Hacienda HealthCare facility who was entrusted with the woman’s care. CNN reports that Phoenix Police have booked 26-year-old Nathan Sutherland, a licensed practical nurse, on preliminary charges of sexual assault and vulnerable-adult abuse. Sutherland’s DNA resulted in a match after police collected DNA from male staffers at the facility. The woman, 29, has been unresponsive since the age of three. Employees at the longterm healthcare facility say they didn’t know the woman was pregnant, and one source told local CBS outlet KPHO that the woman had no ability to “defend” herself or communicate that she was pregnant. 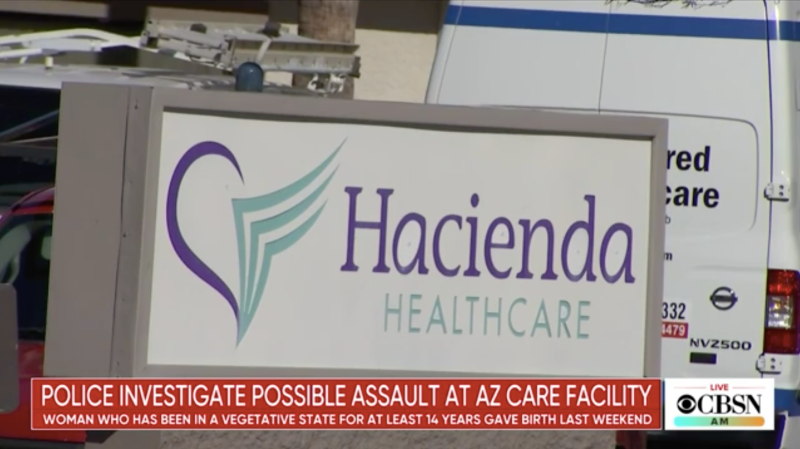 In the wake of the disturbing incident, former Hacienda HealthCare CEO Bill Timmons has resigned and the Arizona Department of Health Services has opened an investigation into the nursing facility. The baby boy, who was reportedly born healthy, will live with the woman’s family.